In some ways, eating at Wendy's is like siding with the playground bully. However, most bullies won't offer you some of their lunch for free, and Wendy's is doing exactly that. The fast-food chain is once again offering free grub through its mobile app. 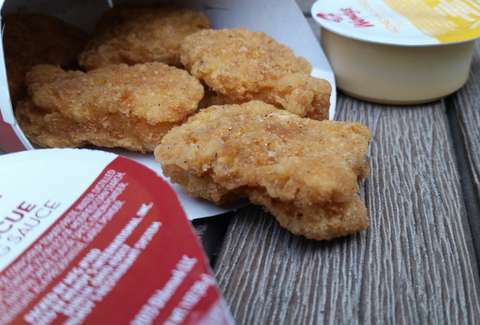 This time, you can pick up a free four-piece order of chicken nuggets with any purchase. That means you could just ask for a small order of fries or a small drink and they'll throw some gratis chicken nuggets in the bag. The deal only lasts through November 4, so there's not a ton of time to take advantage of the offer. But doing it is awfully simple. Just download and open the Wendy's mobile app. Then navigate to the "offers" section and boom, nuggets. The app is currently carrying other offers as well. You can dig up buy-one-get-one-free chicken sandwiches, $2 off any full-size salad, $2 off any premium combo, or a $5 Dave's Double combo. All of those deals last through November 4. It's a hell of a lot easier than how this dude got himself a free flight to Chicago.